power_ltiview('sys') creates a state-space object (SS) of the linear part of the electrical circuit (ABCD state-space matrices representing the RLC devices in the model). The nonlinear elements, such as the distributed parameter line blocks, are modeled as inputs and outputs to the SS object (because they are modeled as current source in feedback to the state-space system). You can analyze the time and frequency responses of this SS object with the Linear System Analyzer. The command opens the Linear System Analyzer dialog box. 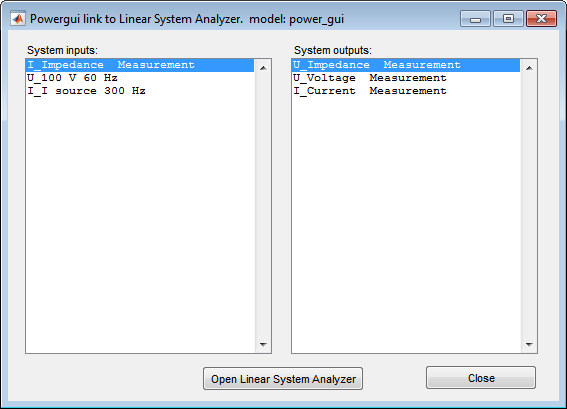 This tool can also be activated from the Powergui block dialog box by selecting Use Linear System Analyzer. The Linear System Analyzer functionality is provided with Control System Toolbox™ software. 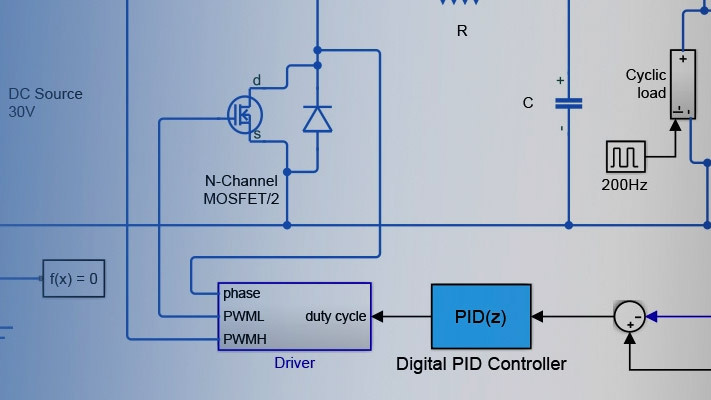 Lists the inputs of the state-space model of your circuit. Select the inputs to be used by the Linear System Analyzer. Lists the outputs of the state-space model of your circuit. Select the outputs to be used by the Linear System Analyzer. Generates the state-space model of the circuit and opens the Linear System Analyzer for the selected system inputs and outputs.